Savvy Perks Discount Network suggests whitewater rafting for your summer fun. Use Savvy Perks coupons, deals, and savings for a whitewater employee adventure they’ll never forget. 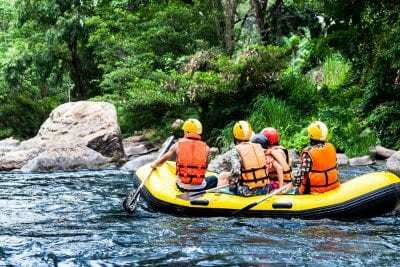 Or give a Savvy Perks membership as part of your employee benefits program to your team and let them plan their own whitewater rafting or kayaking trip. Loyalty perks and loyalty rewards have never been this memorable. How Many Places in America Can You Go Whitewater Rafting? Who really knows? There seem to be hundreds of companies up and down the rivers that will take you on trips and show you an enjoyable time. Some of the tours are scenic and others have challenging rapids. So, depending on what you’re looking for, there are places that match your style. Here is a list of 25 of the best whitewater rafting destinations in the US. Each river has its own personality. Some rivers are calm and slow moving while others are feisty. They break the rapids into classes, so you know what type of river personality you’re signing up for. CLASS #1 RAPIDS: These are slow-moving rivers with small waves. Class 1 rivers are easy to navigate and are often known for their scenic views. These are perfect choices for romantic occasions. You will see beautiful sunrises and sunsets and enjoy the tranquility of nature. CLASS #2 RAPIDS: These moderate rivers, are also scenic. They are great for conversation, photos, a bit of adventure and you might get sprayed with a hint of water. 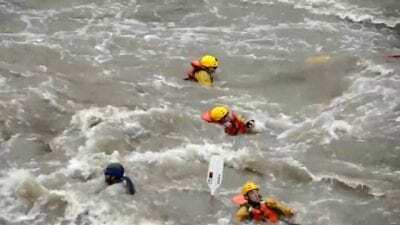 CLASS #3 RAPIDS: Rivers with Class 3 waves are medium in difficulty. 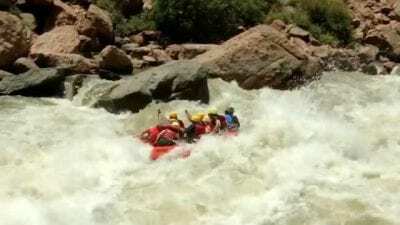 They are also the first real step in whitewater rafting. The rapids have obstacles like rocks, bridges, debris and there is a good chance you will get wet. CLASS #4 RAPIDS: Rapids in the Class 4 family we call turbulent. You’ll have a blast. Your ride will be challenging. And you will get wet. CLASS #5 RAPIDS: Expert level rapids in the Class 5 family have obstructions. The rapids are violent and complex. They are risky with drops and dips. You will get wet on Class 5 rapids and probably a bruise or two. LOL. CLASS #6 RAPIDS: WOWSER. These dynamic rapids are unpredictable, dangerous and you better know how to swim. Guides are professional rafters. They know how to handle the rafts. And they know how to rescue you if you topple out into the current. 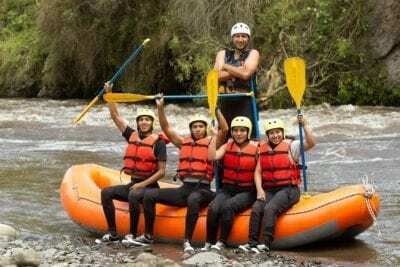 Why Offer Whitewater Rafting Discounts? Whitewater Rafting companies and tours realize that you have a choice when it comes to your outdoor adventures. And they want to entice you to bring your family, friends, and employees to the river on your next outing. 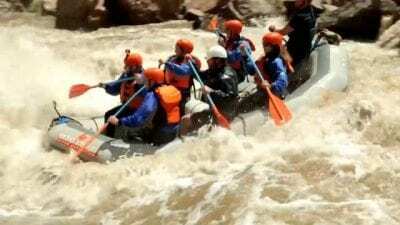 Whitewater Rafting companies are businesses and to stay afloat they need customers. Offering insane discounts to you through Savvy Perks is a way for them to bring new business in the door. 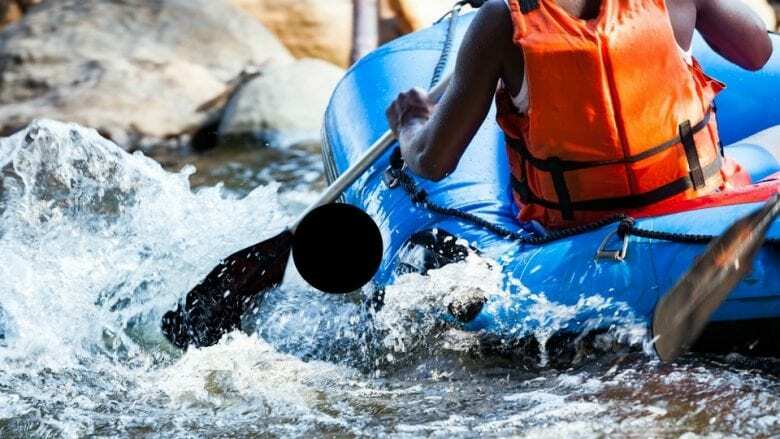 According to Fitness Cost Helper, the average cost of whitewater rafting in the USA ranges. Self-guided trips start at $50 and go upwards of $200 a day per person depending on the river and launch fees. Guided single-day trips cost $25-$115 per person, depending on location and season. 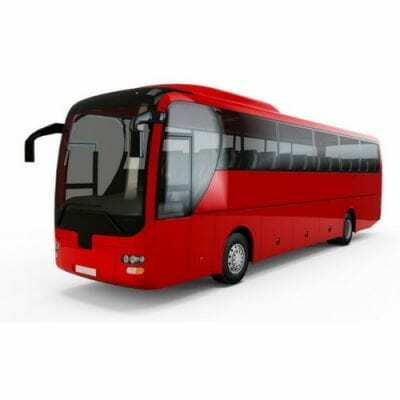 For example, a four-hour trip with lunch (either a food truck or a barbecue) costs about $40 per adult or $35 per child. Some trips include transportation to and from the base camp and the river and an optional meal. 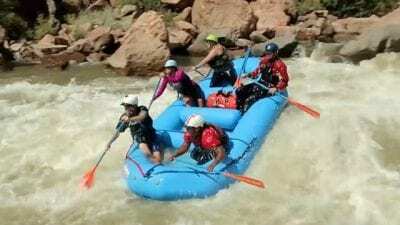 Multi-day guided whitewater rafting excursions cost $400-$1,400 for 3-4-day event. This depends on location, season and amenities. For lower priced river trips, expect to bring your own camping gear and help prepare meals and set up camp. Higher-priced camping trips often include amenities like bedding (sleeping bags, pillows, tarps, tents, camping chairs) and catered meals. Why Does Whitewater Rafting Cost So Much? The river rental companies are businesses and they have expenses just like you. They pay for the real estate of their station, river permits, insurance and launch fees. They’ve invested in rafts, paddles, life jackets, helmets, cameras and another river gear. They pay for advertising, website, web hosting, and internet access. They have the expenses of electricity, water, sewage, bathrooms, and often buses to get you to and from their location to the rapids. This also means vehicle insurance, drivers, fuel, vehicle maintenance and property tax. If they offer camping, it also includes campsite real estate and camping permits. All this to help you create unforgettable memories of a lifetime. The difference between a self-guided whitewater river trip and a guided tour is just as it sounds. 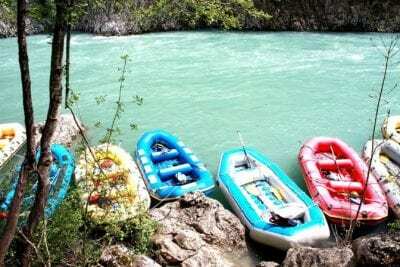 Self-guided tours are where you rent the rafts, life jackets, helmets, and explore the river on your own. The guided tour comes with a trained guide who knows where the best rapids are, what plants to stay away from so you don’t get poison ivy. And if you get in a bind they know where to find help fast. If you ask just about anybody whether to do the guided tour – they all say, go with the guide. Trained guides load the rafts and equipment and make sure the rafts are inflated to safety standards. The guide will meet and greet their guests, brief them on what to expect and explain safety procedures. They can also help you make sure that your life jacket fits and that the equipment you’ve rented is the right stuff. The guide can also point you in the right direction for lodging, campgrounds or other nearby attractions. 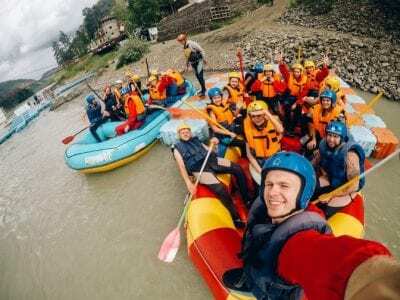 Why Hire a Tour Guide for Your Whitewater Rafting Excursion? Tour guides choose to spend their summers on the river making sure that you are safe, and you have a spectacular time. They love the water and they know where the best rapids are. And if part of the river is shallow they know where and will steer you away from them. A top-notch river guide is an entertainer. They are historians, and they know plants and wildlife. And while they navigate the rapids with you, they surprise and delight you with just the right amount of thrill. They are flexible, and they know how to read their guests, tailoring each experience to all ages, abilities, and backgrounds. 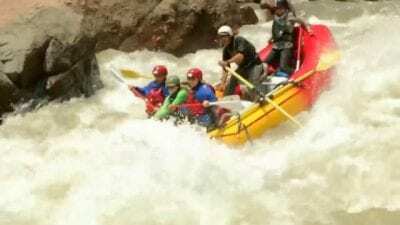 How Much Money to Whitewater Rafting Guides Make? Not a lot. LOL. According to Salary.com, an average rafting guide makes about $30 per tour (for a 4-hour tour) plus tips. Are You Supposed to Tip Your Tour Guide? Yes. We all work for money – even if we are having fun. The whitewater rafting tour is the tour guides job. That’s how they make a living. Your clients don’t expect you to work for free – and it’s the same with a tour guide. They pay their bills with the money they earn from tips. For them to earn tips, they are informational, fun, and entertaining. They are helpful and go out of their way to make sure your time together is spectacular. How Much Should You Tip Your Tour Guide? 15% – to 20% of the price of your tour is a safe bet. If you are a business owner paying for an employee day, 15% to 20% off the top of your excursion is a fair price to pay. If you have a short ½ day trip and there are just a few of you, you can pay the tip on a per person basis which is usually around $10 per person. And if you have exceptional service and your tour guide has created unforgettable memories – give them more. How Do You Get Discounts from Savvy Perks for Whitewater Rafting? It’s so easy to get your Savvy Perks whitewater rafting discounts from your GPS perks app. From your smartphone click on the blue magnifying glass in the bottom right corner. This allows you to search for whitewater rafting centers, rapids, and river excursions. Click on the one you want to visit and then either choose to print the discount or use your mobile device to redeem your coupons. Coupons and discounts, you pull up today are usually good for 30 days out. SUGGESTION: If you choose to use your phone which is always easier than printing a coupon, pull up the coupon while you are in wi-fi range. Snap a picture of the coupon just in case when you arrive at the river there is no cell service where you are. Some rivers don’t have the best satellite range for cell phones. And you’ll be bummed if you don’t have access your Savvy Perks discount because you can’t pull it up on your phone. 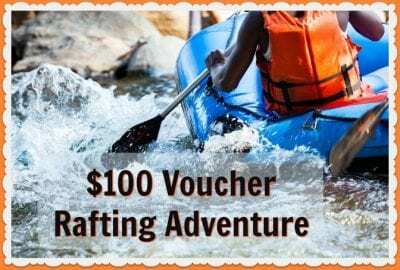 Are Whitewater Rafting Deals and Savings Limited to One Person? Whitewater Rafting adventures are different. Every river adventure company chooses their perks, deals, and discounts. Some will give you percentage off the entire excursion while others give you a per person discount. What Happens If an Adventure Center or Tour Guide Won’t Honor My Whitewater Rafting? The outdoor adventure company is paying to be part of the deals and perks discount network. This is an advertising cost for them. So, it is in their best interest to honor the coupons they pay for. So, if you visit a whitewater rafting company and you have a terrible experience, (and I hope you don’t.) 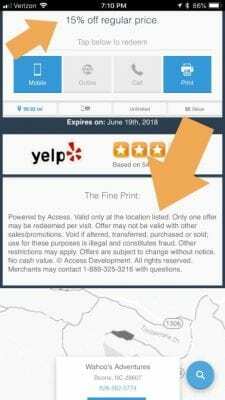 Or if they don’t honor your Savvy Perks deal, you can leave a rating and review right there on Yelp from the convenience of your smartphone. You don’t even have to look up the place on Yelp. 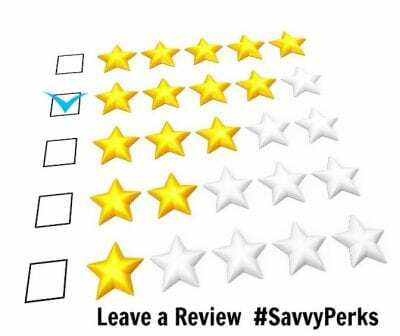 Savvy Perks does it for you. It’s proven time and again that employees work for and appreciate money as a bonus and incentive. But when asked, it’s the memories of adventure days or group outings they talk about. The employee days that include their family or co-workers ranked hirer on the value list than just money that pays the bills. You can plan an adventure day on the river and include all your staff. 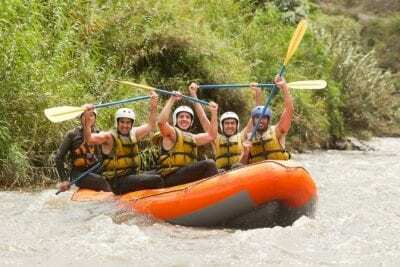 Whitewater rafting is an excellent choice because it gets you away from your comfort zone and technology. Employees end up chatting with each other, discussing issues, building comradery and that’s all before you hit the river. Once your team get their life jackets and helmets on that’s when they start snapping photos. They’re dying to share their adventure with friends and family on social media. As they hit the rapids they’ll experience fear, courage, and teamwork. And before your ride down the river is over, your staff will have bonded, laughed their heads off, taken videos, and photos. Then they will brag all over social media what a great company they work for. It’s also a good chance for you to get some great PR photos for your website. SUGGESTION: Create a Hashtag for your adventure day that includes your company name. Ask everybody to tag you in using the hashtag so they can share the photos. This keeps all photos and videos connected to the same searchable thread. Other ways to enjoy Savvy Perks for whitewater river adventures is to contact a river company directly. Pay for an excursion or river tour for each of your employee’s families. Give them the gift certificate to use at their convenience. And yet another way to give whitewater rafting expeditions to your employees is to buy them a Savvy Perks membership. This way they can choose any adventure they want. And if they choose whitewater river rafting, they can invite friends and family. They can put together their own outdoor event and pay for it using their Savvy Perks deals and discounts. What Are the Hidden Costs of Whitewater Rafting? Lots of companies will make photos available for sale at the end of your trip. The on-shore crew captures the entire raft and group rather than just the corner of the raft you’ll be able to shoot with your own camera. These photos they sell for a profit somewhere in the range of $20-$40 for a flash drive. These photos are also an awesome investment and a tax-deductible business/marketing expense. Post them on your company website, social media and you’ll get lots of media exposure from promoting what a fun time you had as a company. If you don’t live near a whitewater rafting center you will have to commute from your house to the site. Or from your house to the airport, and the airport to the site. And back home again. These costs are not included in your rafting adventure and you’ll need to pay for those separately. Depending on how you travel, you can also use your Savvy Perks discounts for rental cars, chartered buses, Uber and Lyft. Some rivers are inside national parks and you’ll need to pay the national park fee to enter. National parks and historical landmarks including parking are part of your Savvy Perks deals and discounts. Make sure that before any purchase you check your Savvy Perks to make sure you don’t leave any money on the table.